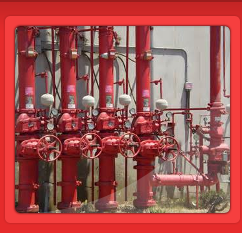 A Fire-sprinkler system's main purpose is to save lives and protect property by containing and extinguishing the fire. It is important to properly maintain and service these systems on a regular basis to ensure that the system will function. At Profire Protection Inc., we Inspect, Maintain, Service and also design and engineer fire-sprinkler systems for your exact application. During an inspection, we check all valves and control and test all associated devices to make sure your system is operational. 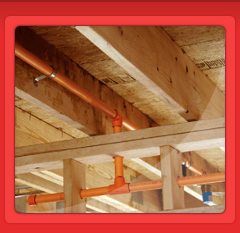 *Installation - We install fire-sprinkler systems on new or existing buildings. We can modify existing systems to fit your needs. We install wet systems, dry systems, anti-freeze, deluge and pre-action systems in residential, industrial and commercial applications. We also update existing systems to make them code compliant. *Service and Repair - Damaged or neglected fire-sprinkler systems can cause leaks that can lead to major problems from water damage. Commonly, this happens in winter when pipes freeze and break. That is when you need to call in the Pros at Profire Protection Inc. We provide quick and reliable repairs to avoid as much damage as possible and to get your system back on line running smoothly. We fix and replace and necessary parts such as valves, heads, pipes and fittings. 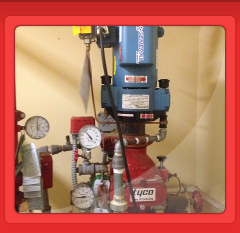 We are your 24-hour Fire-Sprinkler emergency Service.